Source of one of Minnesota's favorite beers! The Minneapolis Brewing Company Brew House was the flagship of a seven-building brewing and bottling complex. 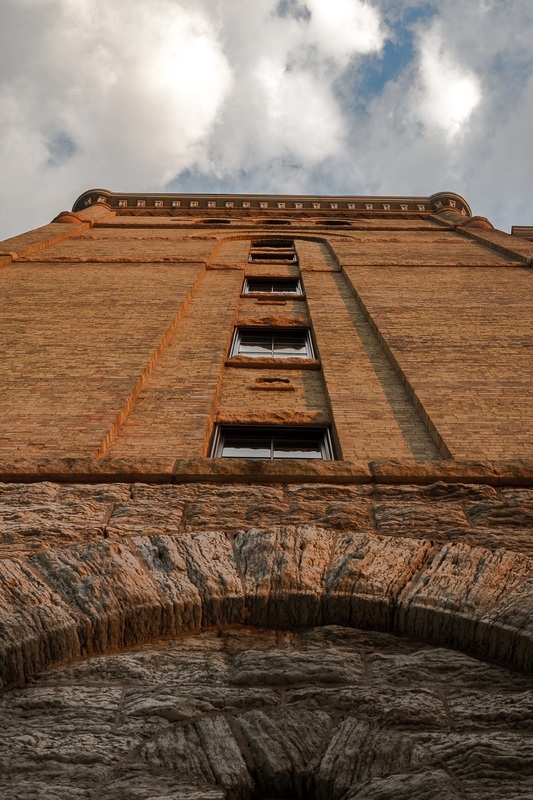 Constructed in 1891 of cream-colored Milwaukee brick on a limestone foundation, the brew house is in the Rundbogenstil or German Round Arch Style, which originated as an expression of national unity after the amalgamation of Germany in the mid-19th century. In 1990, the seven-building complex was added to the National Register of Historic Places as a district. Minneapolis Brewing Company was formed in 1890 by the merger of the Orth, Heinrich, Germania, and Norenburg brewing companies. 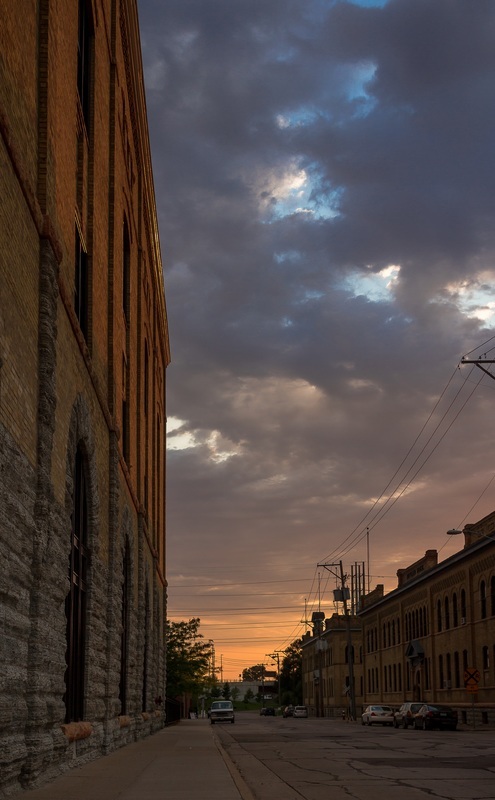 The resulting company became best known for the Minnesota favorite, Grain Belt Beer. 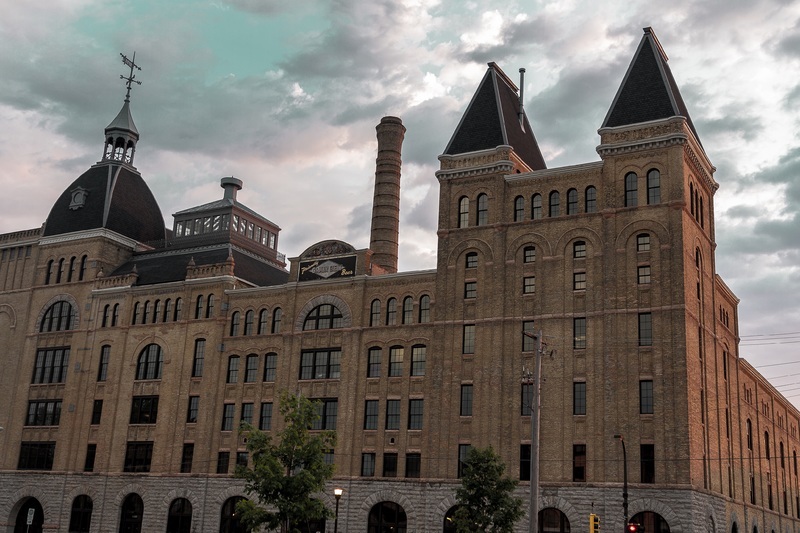 The 100,000 square-foot brew house, which cost $500,000 to build, was designed by brewery architects Frederick Wolff and William Lehle, who designed more than 100 brewery buildings across the US, including buildings for Fitgers in Duluth, and Blatz and Schlitz in Milwaukee. During Prohibition, Minneapolis Brewing switched from brewing beer to producing soda, rubbing alcohol, near beer, and ointments; however, these were not enough to sustain the huge facility and the company closed in 1927. In 1933, after passage of the 21st amendment repealing Prohibition, the company reopened -- and by 1957 had reached the height of its brewing production. However, in 1975, the Minneapolis Brewing Company rolled out its last barrel of beer. Local businessman Irwin Jacobs purchased the brew house in 1976 for $4.1 million, but it sat vacant until the city of Minneapolis purchased the building in the late 1980s. Beginning in 2000, RSP Architects partnered with Ryan Companies to renovate the building and since 2002, the building has been RSP’s home office. photographs by Jarrod Silver, “Minneapolis Brewing Company Brew House,” Minneapolis Historical, accessed April 22, 2019, http://minneapolishistorical.org/items/show/140.